Arms Will Have Custom Controls | Nerd Much? 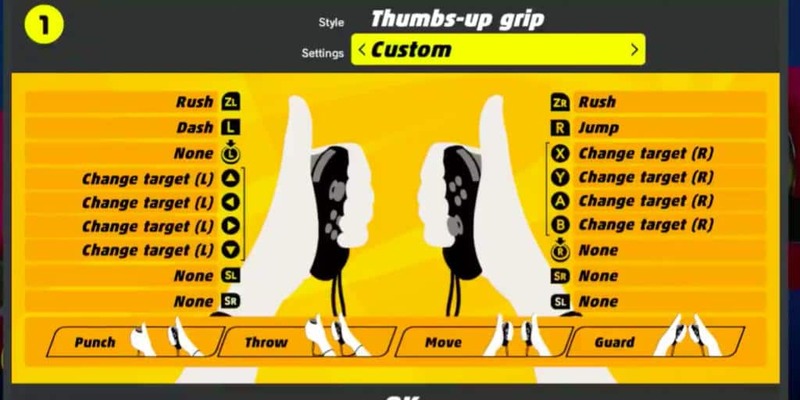 Customizable controls for Arms is a boon that needs to occur more often in Nintendo games. Nintendo has announced today that Arms will be getting customizable controls in the next update. This was announced on Twitter and there is a short video that shows all the details. The mappable controls include the all modes, including handling each set of Joy-Cons separately from the console, on the pro controller, the controller grip, and when the Joy-Cons are attached directly to the Nintendo Switch screen. Every button can be customized with all the actions available within the game, such as rush, dash, jump and changing targets. Motion controls can also be changed, if you’re finding that the standard ones are too awkward to learn properly. This is especially helpful for those of us that have trouble with left and right actions. Even something as simple as being left-handed can affect your ability to play certain games and Arms is certainly one of them. Needless to say, customizable controls for Arms is a boon that needs to occur more often in Nintendo games. Anyone going from their favored system to Breath of the Wild after all these years knows how difficult it is to adapt. I would go so far as to say that almost every Nintendo game would benefit from this too. Perhaps Arms will be just the beginning and we will see more in other games, like Breath of the Wild. Other content in this update will include the all new character Lola Pop. Her inclusion is entirely free, no purchase necessary. She is a candy-themed fighter who specializes in defence. All the more reason to have those customizable controls, as more and more diverse fighting styles enter the roster of characters in Arms. Nintendo has not yet revealed release date for update, but it will be soon. Arms is a game exclusive to the Nintendo Switch.